Costa Rica is well known for its stunning natural scenes, and people come from all over the world to relax on the white sand beaches or explore the dense rainforest. Currently, this small Central American country is home to over 4% of the entire world’s biodiversity, and this doesn’t just include exotic flowers and the many species of palm trees, but animals as well. 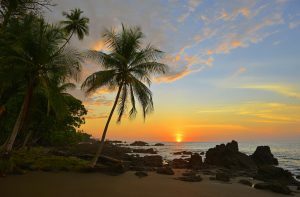 While Costa Rica used to be the dream vacation for those looking to relax in the tropical breeze with a cocktail in hand, this newest generation of Costa Rica explorers are of a much more active mindset. One of the most popular reasons for visiting Costa Rica today is as a wildlife spotting expedition. 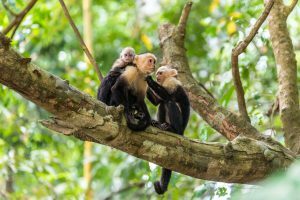 This trip is popular for scientists and wildlife enthusiasts alike, and there are very few destinations in the world for wildlife watching like Costa Rica. You will be surrounded by exotic birds and rarely-seen mammals during your entire trip, but catching a glimpse of these creatures is harder than you might imagine. If you are coming to Costa Rica with the goal of seeing and learning of new species, it’s best to be prepared. Every step you take on a jungle hike or mountain cloud forest expedition will be among rare and exotic species, and if you follow our tips below, you might just return home with a head full of exotic and beautiful creatures. 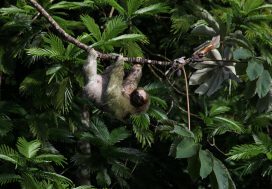 Costa Rica has 12 distinct microclimates, and each unique habitat is home to a new set of species. If you are looking for low-land rainforest animals, a trip around the mountainous cloud forests won’t do the trick. Put a bit of research behind your itinerary, starting with a list of species you want to see. Then plan your vacation around each habitat. Costa Rica is an incredibly diverse country, but is still just smaller than the state of West Virginia. If your list of wildlife goals includes animals from different ecosystems, odds are you’ll be able to travel rather easily. Research national parks and wildlife tours in each of your designated destinations for the best chances of meeting your goals. Remember to include exotic birds in your species list, as these may be some of the most incredible and easy finds during your trip. You may spend all day trekking through muddy jungles and densely forested paths for a few fleeting glimpses of wildlife, then be immediately swarmed by monkeys once you’re showered and relaxing at your hotel. That’s why it’s important to include lodging in your strategic plan to find wildlife. Look for small hotels or hostels situated in nature. 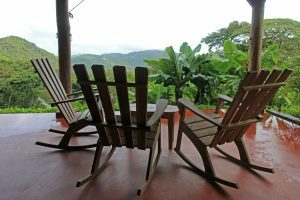 Eco-hotels are your best shot at easily finding wildlife from your front porch, as these hotels typically are in the wilderness, quiet, and have planted flowers and trees that would be attractive to monkeys and tropical birds. These destinations will give you a better opportunity at being surrounded by wildlife than a concrete floored resort with in-ground swimming pools. You’ll also have better access to tour guides, self-guided trails, and organic, locally-sourced meals. In Costa Rica, it doesn’t always take a guided hike to see incredible wildlife. This country is so filled with exotic species that you will spot them on the roadside, near your favorite dinner joint, or when you’re in the city looking for gear. Always stay alert, whether you’re on the trail or in-between excursions. While hiking, pay attention to rustling underbrush, branches moving in strange directions, or any odd sound, no matter how quiet. You came to Costa Rica for a specific purpose, and you’re going to have to make some sacrifices to complete your mission. This means early mornings. Animals are most active right at sunrise, so you’ll want to already be at the start of your trail while the sun comes up. These early morning hikes will be flooded with mammals, reptiles, birds, and activity of all kinds. This is convenient, because you may be done with your hike right at the heat of the day, and you’ll deserve a shower and a beer back at your eco-hotel. Animal activity spurs up at sunset as well, but you don’t want to be in the jungle when the sun goes down. Most national parks will close around this time anyway. 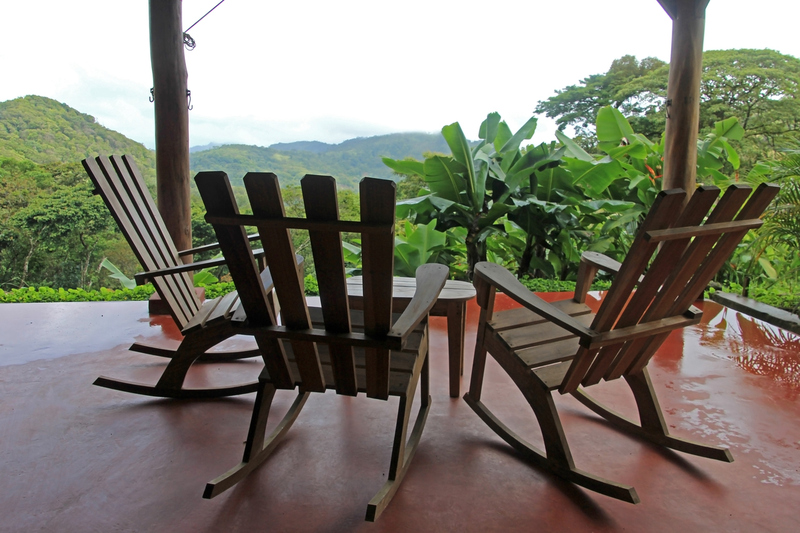 At sunset, make sure you are at a viewpoint or simply on a deck overlooking nature back at your hotel. Save conversations for the car and hotel. Unfortunately, animals are way better at sensing human presence than we are at sensing them. They will hear you and see you a mile off. It’s best to get all conversation out of the way in your morning car ride and hike as quietly as possible, especially if you hear a sound or have seen a lone animal. Try to hike in silence with hushed conversations, and while you’re at it, limit the size of your group. A wildlife expedition with a group of 3 will be significantly more successfully than with a group of 10. See if you can book private tours or inquire about the tour group size before making reservations. Whether you can see a sloth or not, every step of your journey will be majestic. Take notice of the ecosystem, including bugs and plant life. Enjoy the climate, the smells of nature, and the sounds of far-off animal families. Enjoy every second of your trip, but remain prepared for the seconds that count. When you finally reach a family of monkeys, they probably won’t stick around for long. Keep your camera out of the bag and your binoculars ready. Try to avoid rummaging around in your backpack when the big moment comes. And while you’re at it, be familiar with your camera’s zoom functions to avoid pictures of in-focused leaves and blurry animals. Regardless of your experience in animal watching or familiarity of the region, you’re bound to see more wildlife during your week in Costa Rica than you’ve seen in your whole life in the city. Be ready for the big moments and remember to enjoy.